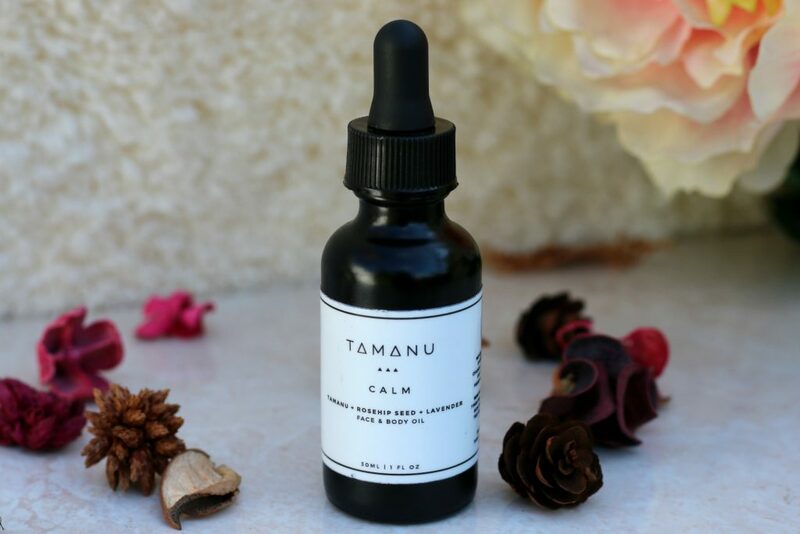 While there are so many essential oils that are available in the market which can help you to ease symptoms of stress, depression, and anxiety. It is important though that you choose the ones you like the most and also the most effective, most importantly pure & natural blended oils for using directly on face etc. I like to use oil blends in a variety of ways. Especially, I am some who gets very bad headache and I am sensitive to certain fragrances as well. So, I am very careful about choosing the right oil and also i will give you an insight on all the different ways my usage. 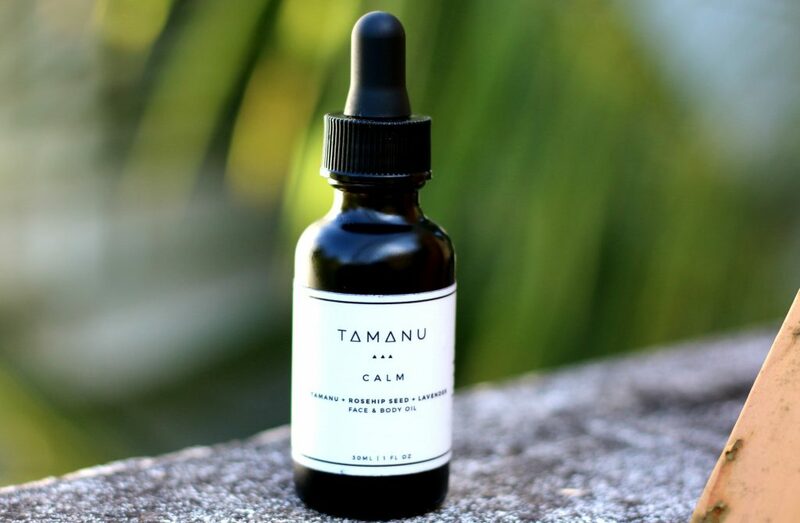 TΔMΔNU Calm Nighttime Blend has the goodness of Tamanu oil, Rosehip seed oil, Lavender oil. If you are a regular reader of my blog, you might know my love for rosehip oils. I have used and emptied and repurchased a lot of rosehip oils. Trilogy, Life Flo oils being my favorites. Lavender Oil is something I use and always light my diffuser in my room. I really love how soothing and relaxing it is. 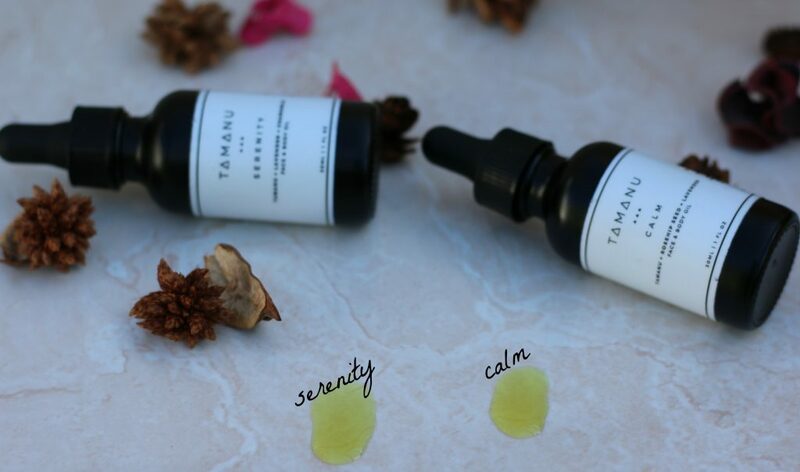 So, when I saw these 3 ingredients in this little bottle – I was so excited to include it. Now, coming onto the different ways I use it. There is no particular order that I follow. 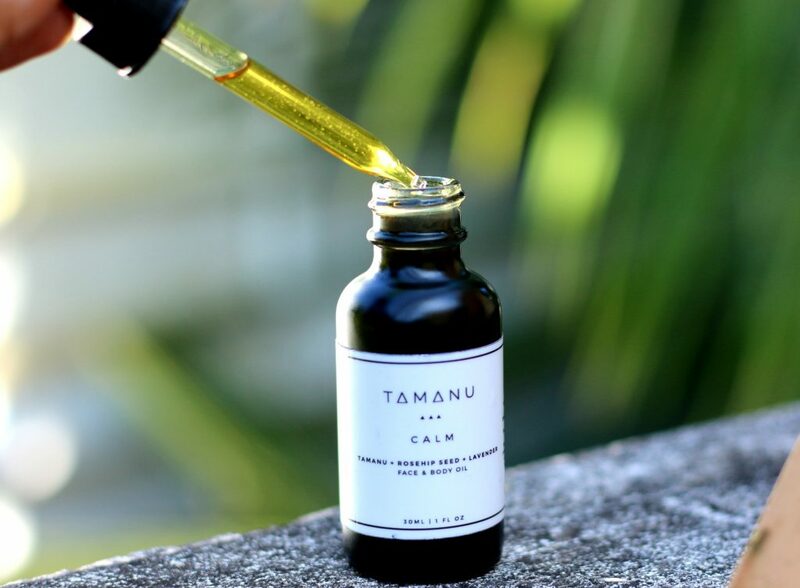 I like to use the oil blends to relax myself after a tried day at work or whenever I feel the initial symptoms of a possible migraine, When I suffer from cramping pains, for a relaxing bath or inhalation. For inhalation – I take few drops on the palm of my hands and then rub the blend to spread the oil. I hold my hands over my nose and take about 5-6 deep and slow breaths to reduce feelings of stress, depression, or anxiety. 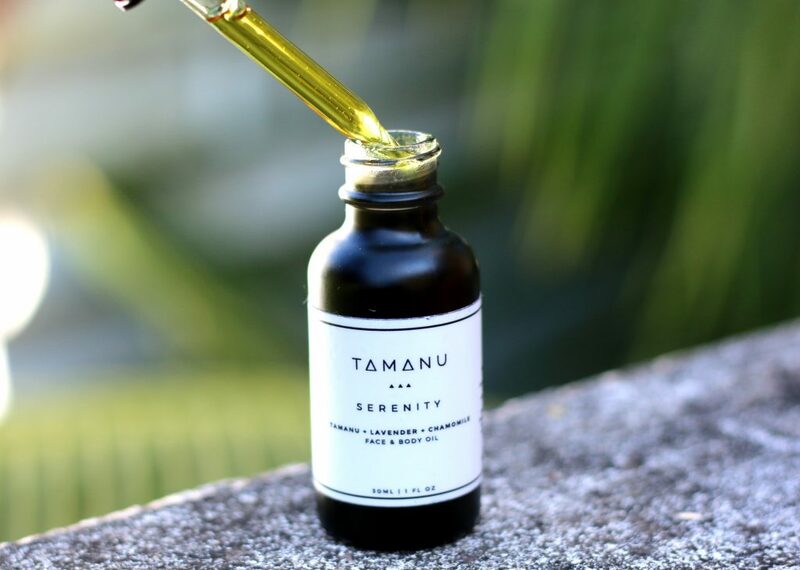 For a relaxing aromatic bath – I add about 6-10 drops of oil blend to the bath tub filled with luke warm water. I then take a relaxing bath to alleviate feelings of stress, depression & anxiety. As a Spray Mist – Take about 2 drops in a small bottle. fill it with luke warm water. Use it as a spray mist. 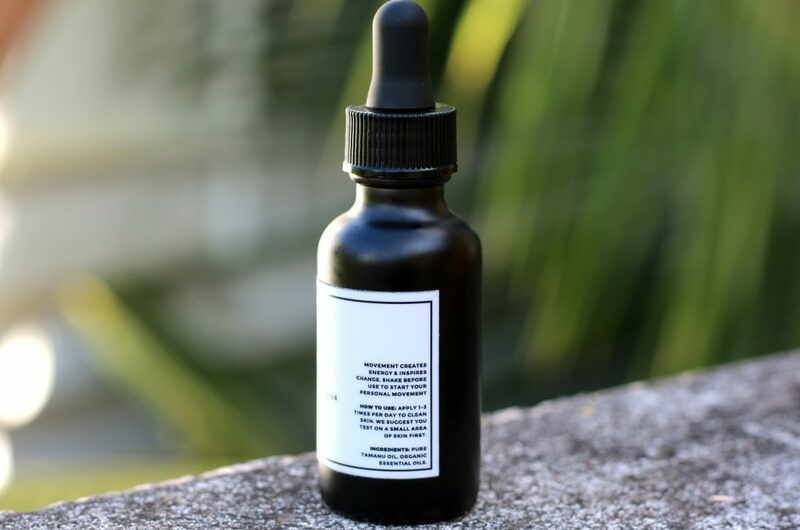 For spot treatment of acne – take 2 drops onto a small spoon. dip a cotton bud in the oil and apply it directly on the acne. Do it 2-3 times durign the day and you will see fast drying of acne and also it doesn’t leave any scar or marks. As an anti-ageing treatment – Take a drop and gently massage under your eyes for getting rid of winkles and fine lines. 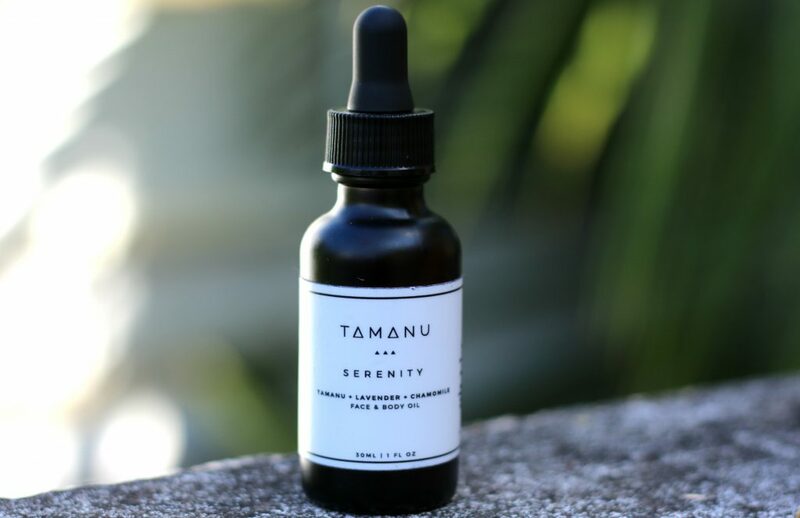 Using this oil mixed with your regular night cream/2 drops of oil blend every alternate day – long term usage will help in evening out the skin and also helps get rid of new acne scars. dry patches on your face etc. 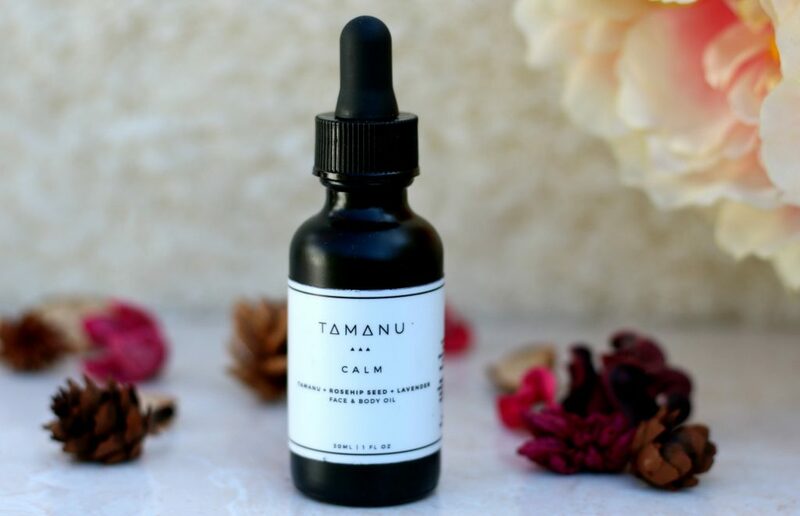 Best thing about this oil blend is it doesn’t clog your pores. During winters. You may skip other night creams and only use few drops of this oil blend. 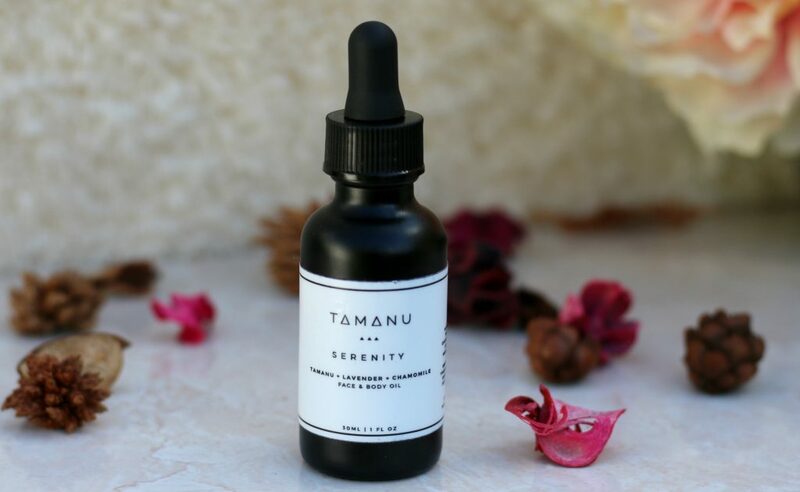 It hydrates your skin and help in cell renewal. 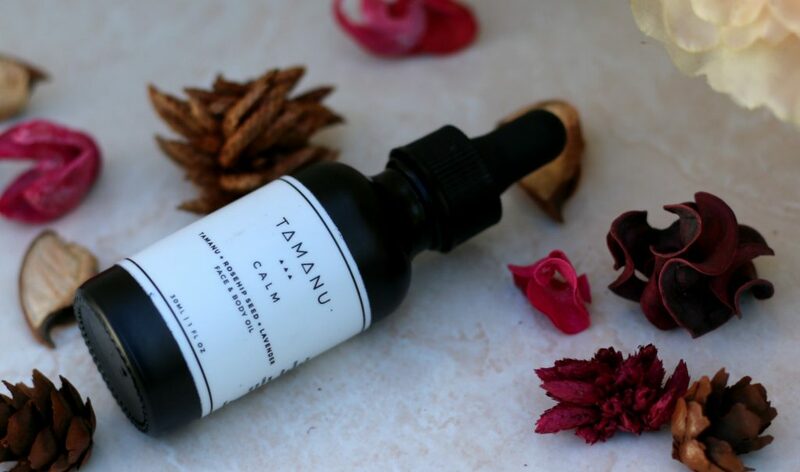 The goodness of rosehip, tamanu and lavender oil are perfect to treat any pigmentation problem that you have on skin and also to rejuvenate and hydrate the skin, evens out skin tone etc. You have to use it for a long time to see the results for hyper pigmentation. 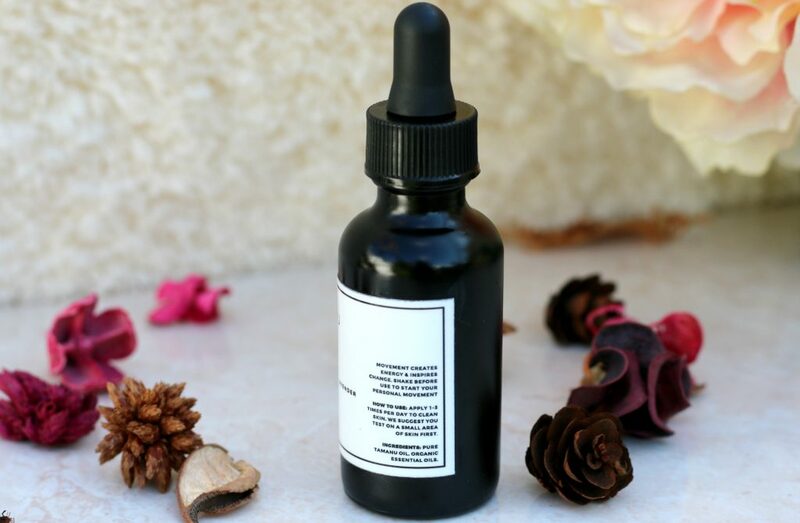 If you are suffering from acne scars and breakouts- You will love this oil. 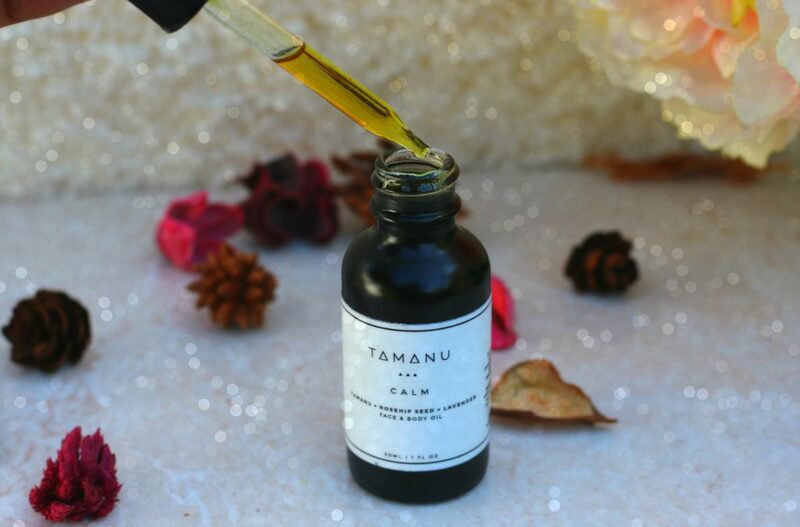 The healing benefits of this oil is magical. It hydrates your skin and help get rid of acne. 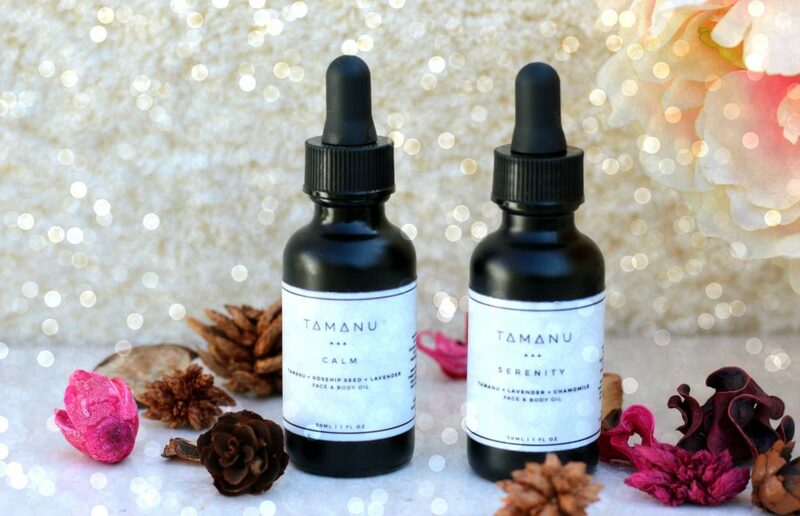 if you prefer to try out samples first – TΔMΔNU Oil Lab has samples of every oil blends which you can try out before investing on full sized ones. This is my favorite oil blend. I have emptied the bottle that I have and if used everyday, It easily lasts 2 and half months. 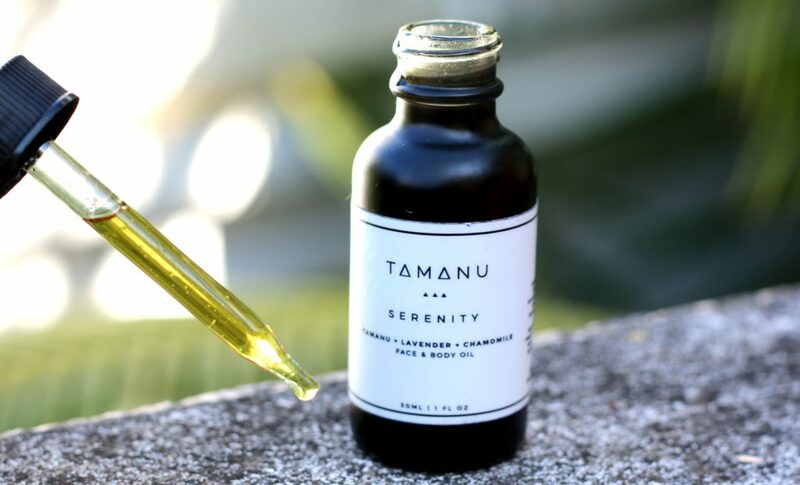 The combination of lavender, chamomile & tamanu have such amazing healing benefits on skin and it immediately relaxes you. 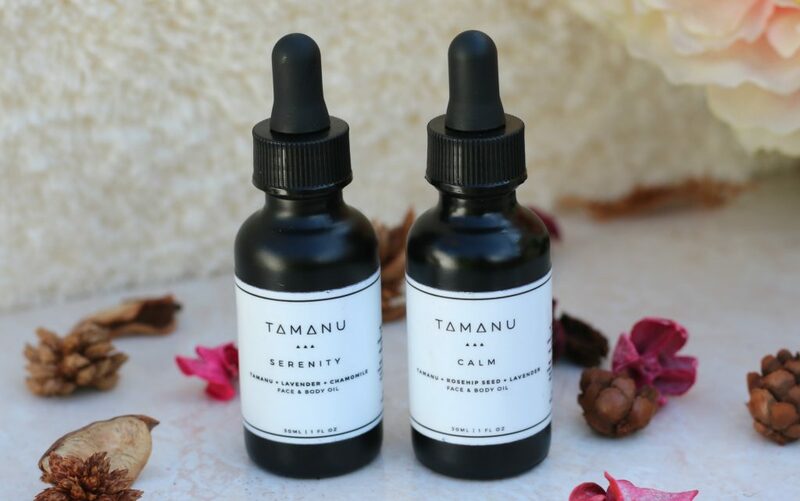 I take about 2-3 drops of the oil blend and gently massage and blend the oil onto my neck, chest, bottoms of my feet, wrists, and behind my ears to get relief from headache and anxiety/stress. I follow using the Forest Essentials Tranquil Sleep mist to get a relaxing peaceful sleep. 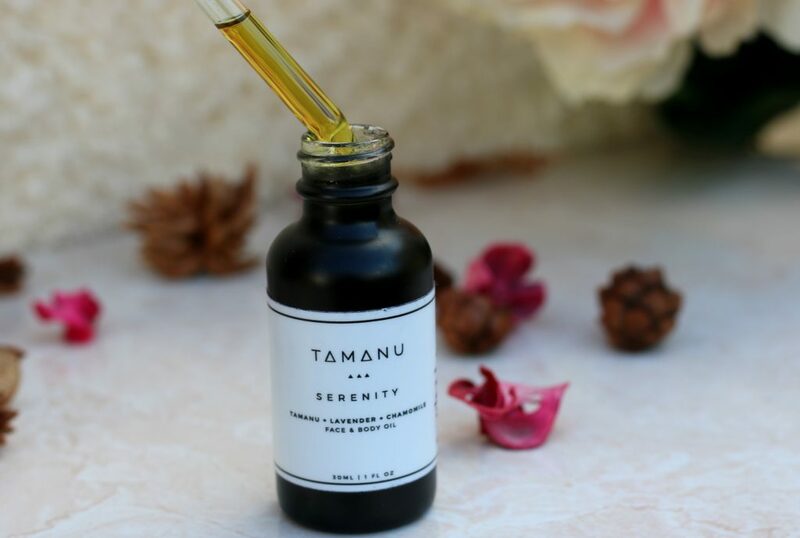 I also like to use this oil as a massage oil during the menstrual cramping days. I love to use this as a makeup cleansing oil. I apply it directly to my face as an oil cleanser, massage it on my skin and then wipe off the makeup. Skin feels really fresh after wiping off with luke warm water dipped cloth. You may also use this for insect bites etc. Overall, these oils are highly beneficial and it’s great if you include oils to your daily routine. 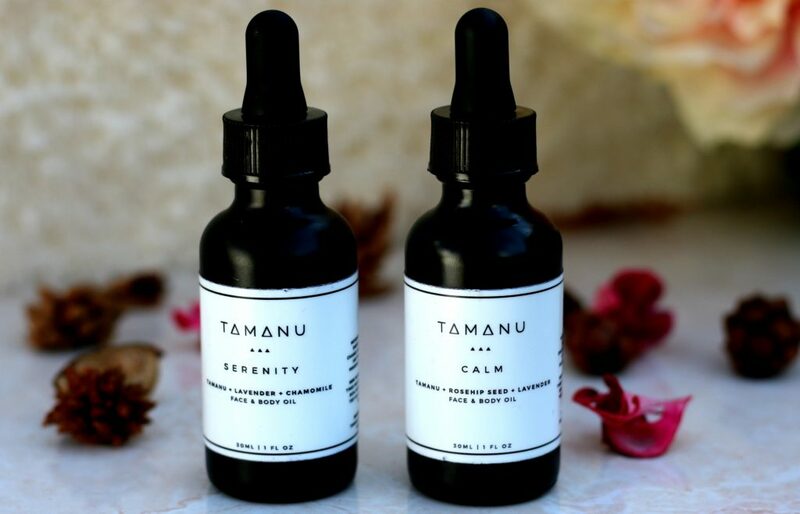 Oils are also calming and relaxing for body and mind. They are used to treat depression and stress. However, There are some essential oils that should be avoided if you’re pregnant. Consult your doctor about using the essential oil blends in that case. It also hydrates skin and helps get rid of acne, reduce pigmentation marks etc.